First Level – Asset protection/structure – what can you do to protect assets? 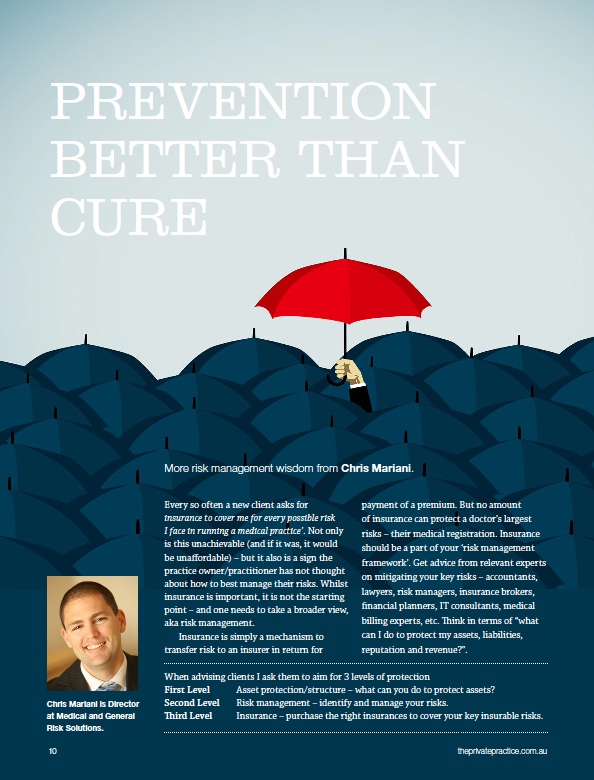 Second Level – Risk management – identify and manage your risks. Third Level – Insurance – purchase the right insurances to cover your key insurable risks.